DyStar Indigo 4B coll. liq. 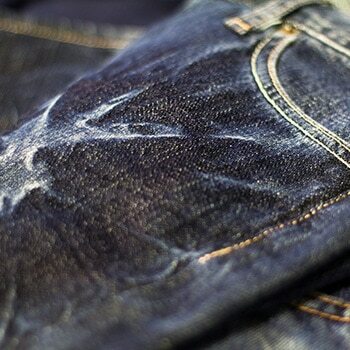 DyStar’s core denim product is our patented DyStar Indigo Vat 40% Solution, the cleanest Indigo on the market. This product represents the state-of-the-art in pre-reduced indigo liquid, with over 15 years of production experience and customers worldwide. It allows a cleaner denim production and shows a massive positive impact on resource efficiency such as a reduction of the sodium hydrosulfite usage by 60-70%, much cleaner waste water and less water usage. To inspire the fashion industry, DyStar has created the new “Festival of Blue” product range. 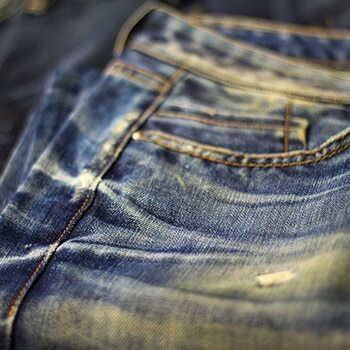 Based on our clean Indigo VAT 40% Solution, we introduce fresh new blues to the world of denim. 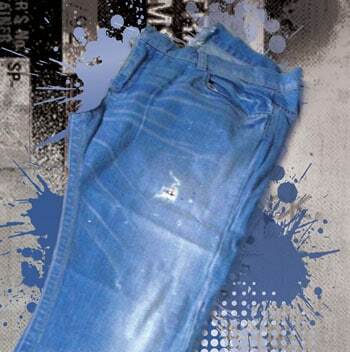 Full Blue is a core dyeing to make jeans appear bluish after wash down. Sky Blue is a bright blue that has a clear look after the wash-down process is applied. Ever Blue is a ring dyeing and keeps jeans after washing and fading forever blue. Deep Blue is a very special process to provide an extremely dark shade and more resistance to fading. DyStar Indigo 4B Coll. liq. is a derivate of Indigo for a brilliant blue denim shade. 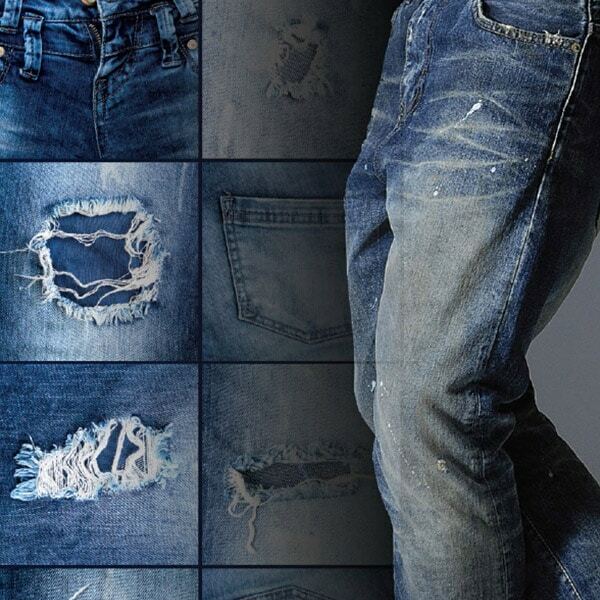 It is a newly developed dye process that offers an interesting variation for Denim with different wash down effects. With our new Lava Dyes you can achieve bright shades and dark colors on denim. They also offer great possibilities in creating wash effects due to their excellent decolorization with permanganate and accelerator. Coloration can be done at a low temperature and great light and wash fastness can be achieved without pre-cationaization or binders. Lava Dyes support a sustainable dyeing process due to lower energy and water consumption. With DyStar’s new Lava Dye Antique range and process, it is possible to get “worn look” after dyeing with acceptable fastness levels. It provides high laboratory to production correlation and also very good re-producibility because of high fixing level and levelness. This is highly economic and simple process with short dyeing time. 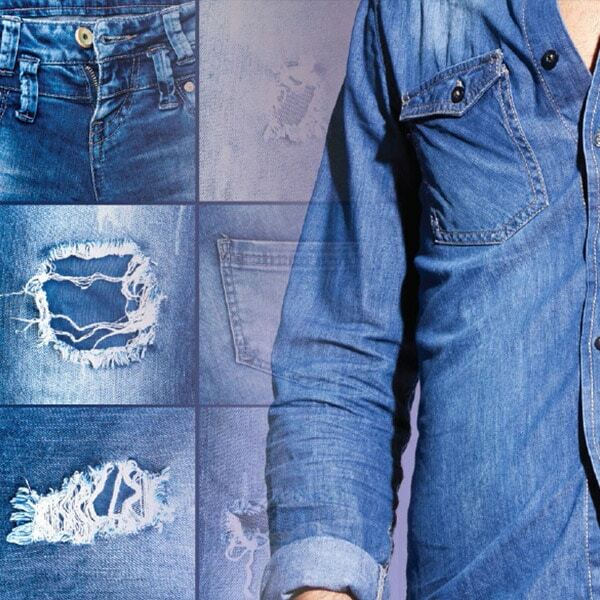 Using Sera® Auxiliaries for pretreatment and in the dyeing process will provide best results and high quality denim. In addition to a full range of dyes and dyeing auxiliaries, DyStar also offers a comprehensive range of auxiliaries and services for the laundry sector. Customers benefit from our integrated product offering at all stages in laundry processing ; this includes auxiliaries for spraying, coating, bleaching, combined processes, finishing. With a wide range of GreenScreen and bluefinder listed laundry chemicals, DyStar provides a sustainable solution for beautiful, trendy denim wash effects. Our global network of technical experts and special laundry competence centers in key markets help customers meet the demanding needs of this constantly changing market. Evo® Auxiliaries for softening and smoothing will give denim the perfect finish. Customers benefit from our integrated product offering at all stages of laundry processing ; this includes auxiliaries for spraying , coating, bleaching, combined processes, finishing. With a wide range of GreenScreen and bluefinder listed Laundry Chemicals, we provide a sustainable solution for beautiful, trendy denim wash effects. We develop innovative, trend-aligned wash effects in our garment wash development center in Reidsville, NC. DyStar Turkey, our center of excellence in Europe, is constantly developing new techniques and denim wash effects for the global market. Through LAVA U we offer training on popular denim wash effects for creative teams. Each class includes a mix of classroom learning and discussions, practical application exercises, and opportunities to design and execute your own garments! Contact us about our upcoming LAVA U workshops. Read our Lava U brochure for more information. Our facility in Reidsville, NC is also available for companies and individuals to do their own wash development. Contact us if you have any questions about our LAVA U workshops or the usage of our facilities in Reidsville. Our global network of technical experts for dyeing and finishing of denim and special laundry competence centers in key markets help customers meet the demanding needs of this constantly changing market. 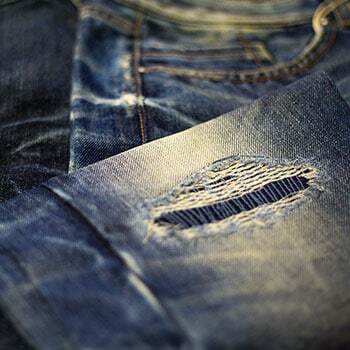 Through close links with denim retailers, we support all parts of the denim supply chain. As a trend leading company supporting the ZDHC group member retailers, DyStar is committed to sustainable chemistry. We research and invest in new products and processes to enable our customers to produce low-impact consumer goods meeting the highest environmental and quality standards in the most cost effective way. “Pre-Reduced Indigo is a very consistent and clean type dye…..Having a consistently clean Indigo helps us produce more first quality denim day in, and day out. More first quality goods also generate more money to the bottom line.” Dean Barley, Denim Dye Department Manager at Mount Vernon Mills. “Our collaboration with DyStar has been very productive for us. It has given a better ecological profile, excellent process control and a finished product which ensures customer satisfaction every time. DyStar is our reliable partner for all our denim needs” Mr. Syed Hasan Mumtaz, Director Production at Naveena Exports Limited. “We implemented DyStar Indigo Vat 40% Solution in 2004 and have benefitted immensely since then, with the dyeing operations becoming leaner, cleaner, with lower load on our Effluent Treatment Plant (ETP). At the same time we have drastically improved our product quality. DyStar gives us technical support from time to time to further optimize our costs, plan new products etc. Most importantly what our marketing team has observed is that discussions with brands and retailers become easier when we mention that we use only DyStar Indigo Vat 40% Solution.” Mr B. Sriramulu Managing Director of K G Denim. For more information on our Denim Products, please contact us.